The text before photo album summarizes the campaign and said: “Honest Diil is that we save money and nature from advertising. 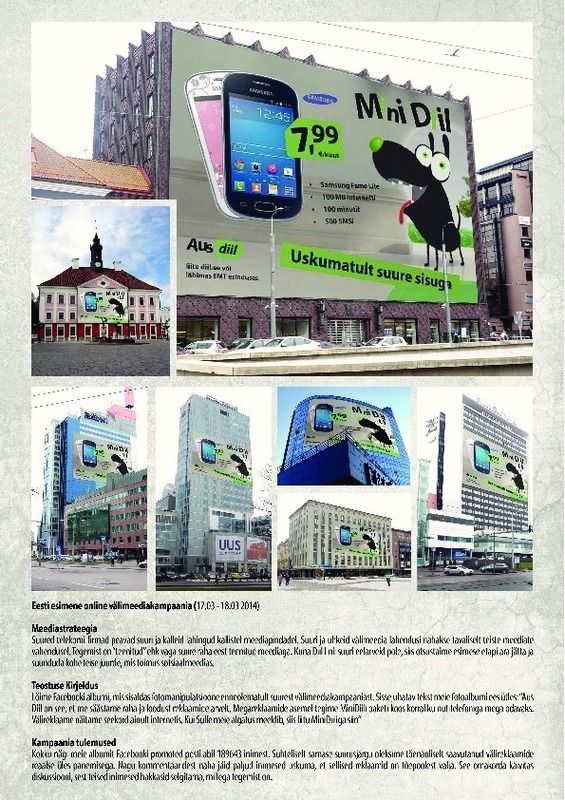 Instead of mega Ads we did MiniDiil offer with smartphone mega cheap. Outdoor Ads we show only in Internet environment. If you like our story - join with MiniDiil in here.